Guitar Hero is a popular series of music video games published by RedOctane in partnership with Activision. The series is notable for its use of a guitar-shaped peripheral to simulate the playing of music, represented on-screen by colored notes that correspond to fret buttons on the controller. There are three new papercrafts at the Kirin site. There's a polar bear, a globe and an ecodice. 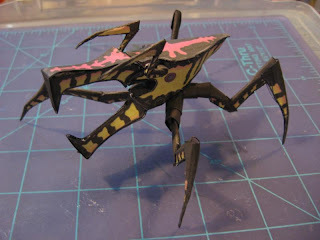 Konicaminolta has added a fiddler crab to their animal papercraft collection. A fiddler crab, sometimes known as a calling crab, may be any of approximately 97 species of semi-terrestrial marine crabs within the genus Uca. Belonging to the family Ocypodidae, fiddler crabs are most closely related to the ghost crabs of the genus Ocypode.As individual pets, hermit crabs have much more personality than fiddler crabs, but fiddler crabs are better-suited for a shared environment including crabs and fish. 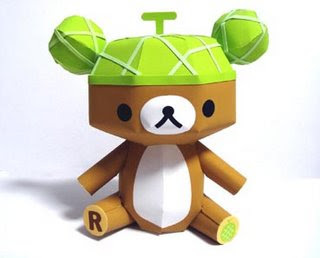 Another version of Rilakkuma(relax bear) papercraft has been released. This one is the melon version. 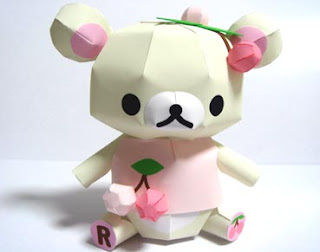 Expect more cute bears from this awesome papercraft designer. Umbreon is the Pokémon that Eevee evolves into when it has gained a complete trust of its trainer at night. It has a black body with yellow bands on its ears and tail. Umbreon's forehead and legs have yellow rings on them. The papercraft has seven pages of parts and stands at 30 cm high. A chick papercraft has been posted at e-maruman. The construction of a highly independent and attractive new urban center, to form the heart of Saitama Prefecture for the 21st century, will reduce the excessive dependence on Tokyo and foster local pride and identity among the citizens of Saitama Prefecture. The begginer's class is smaller with only 1 page of parts while the senior's class has 4. 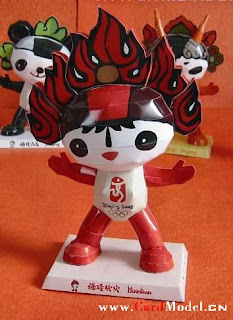 The third Olympic mascot papercraft has been posted. Fuwa Huan Huan represents the Olympic flame. 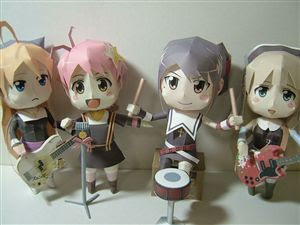 Here's a nice set of papertoys from 24 lemons. 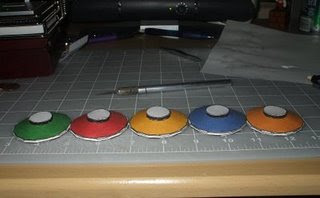 The good thing is you don't need glue to make these. Do you recognize that bug papercraft? Well, it's one of the large insect-like aliens called "Arachnids or Bugs" from the 1997 science fiction movie Starship Troopers. Starship Troopers tells the story of an interplanetary war between Earth and colonies of large insect-like aliens in the twenty-third century. It focuses on the experiences of Juan "Johnny" Rico (Casper Van Dien), one of three friends who sign up to the military one year before Earth declares war on the aliens. This one is so cute. Korilakkuma is a small white bear with a mischievous personality who accompanies Rilakkuma, a man wearing a brown bear suit. Rilakkuma is a Japanese character produced by the San-X company. Aryll is Link's sister. 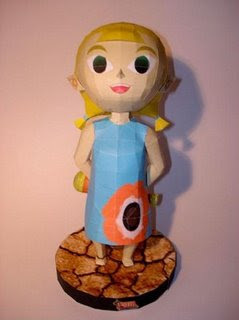 She and Link both grew up on Outset Island under the care of their Grandma. Aryll developed a fondness for seagulls, that often flock to the lookout tower of Outset Island, which she named "Aryll's Lookout". The closest thing to a fellow human friend seems to be Sue-Belle, the girl who is constantly seen carrying a jar. Moekami has just posted the girl in the pool named Sukumizu. 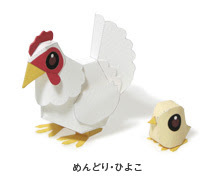 This anime papercraft has three pages of parts and measures 11.3 cm high and 23 cm wide. Here's a very well-detailed Mitsubishi FTO papercraft from Teiji Murakami. It has a full interior, open and closing doors and movable steering wheels. 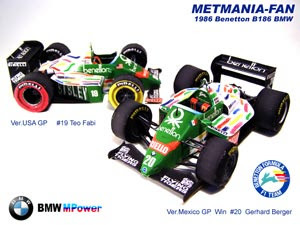 You'll need need a transparent sheet for the headlights and window panes. Here are some simple cup and bowl papercrafts from Japan. 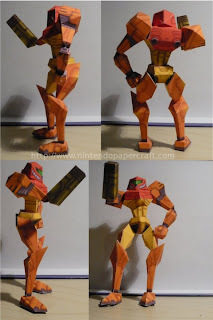 Here's the latest papertoy from Matthijs C. Kamstra aka [mck]. 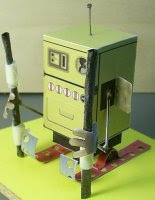 Drukk is a simple papertoy (easy to build, easy to customize) with moving parts (you could call it a paper automata). 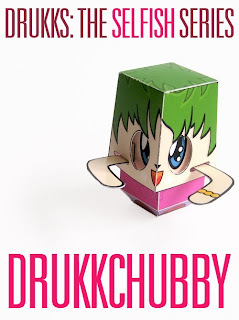 For 4 weeks, mck will release a new papertoy every Wednesday so do check his blog from time to time. 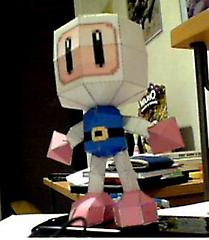 Here's a simple papertoy named Meempee. Meempee is derived from Indonesian word 'mimpi' which means dream. Yamaha has just added a goldfish to their "Seasonal Scenes of Japan" papercrafts. In Japan, goldfish scooping is one of the most popular events at festivals. It's likely that many people have enjoyed scooping goldfish and brought them back home to breed. Goldfish are still one of the most popular pets in Japan. The scene of a goldfish in a water vase or basin represents a typical summer scene of Japan, which is soothing and refreshing. Here's a final fantasy papercraft from a new designer named Kaizo. A Cardian is a magical automata dolls built by the Tarutaru (Zonpa-Zippa) to serve as heavy workers and front-line fighters in the Windhurstian army. The Ohara Corp. is a Japanese manufacturer of snow vehicles and various Industrial Machinery. 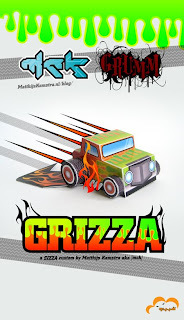 They have two snow mobile papercrafts for download. First is the simple Caliber multipurpose machine(1 box) which has one page of parts. Second is the more complicated papercraft of DF(Deer Forte) 370. It is a snow mobile used for ski slope maintenance. It has 8 pages of parts. 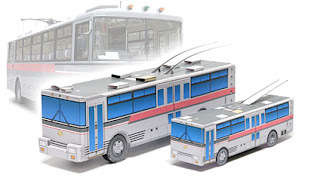 This model would look much better if you use transparent parts for the windshield and windows. 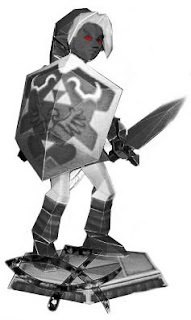 Here's a black and white version of Link papercraft. This is perfect for those who want to save on colored ink. Finally! Batch Two is available for your downloading pleasure, with over 25 fresh new designs by talented artists from all across the globe. 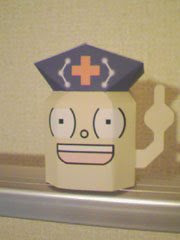 Here's a Dr. Yagokoro papercraft from a flash game by chibitami. The game is pretty much like that of Dr. Mario, except you move the viruses around… and the viruses are immortal, so the game doesn’t ever end. 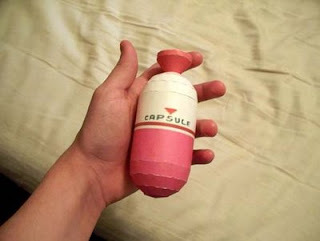 You can also download a simple Miku Hatsune papercraft. 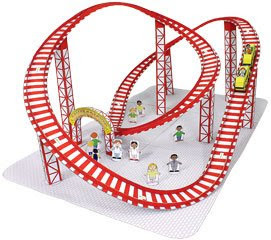 The Craftown amusement park now has a roller coaster papercraft! Line it up with a Ferris wheel and merry-go-round and expand your amusement park! Here's a really nice web site with free models of sci-fi/fantasy dungeon floor plans, sci-fi/modern/space buildings and vehicles and tanks. 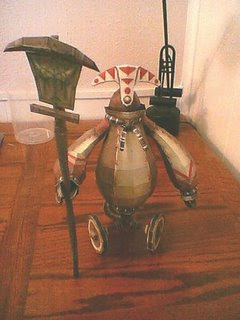 Here's a nice life-sized goblin helmet papercraft from Final Fantasy XI. 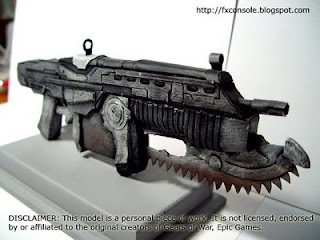 Here's a weapon called Lancer that was used in the video game Gears of War. Jun will post the blank template shortly so watch out for that. 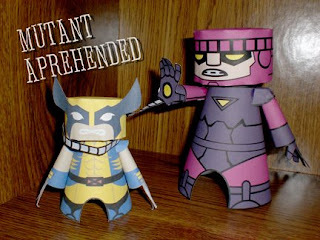 Here are the latest papertoys from Marshall Alexander. A blank template is also available for you to customize. 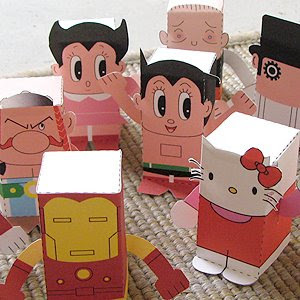 Here's a bunch of papercrafts from a Japanese site I found. There's a beetle, a swallowtail butterfly, a snake, and SL locomotive, a train platform and a vehicle. 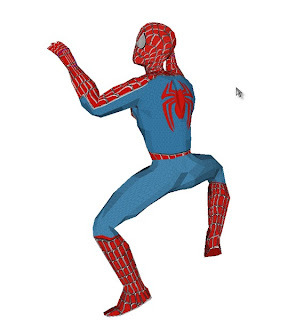 Here's another Spider Man papercraft released by phh29. Here's a cute Stay Puft papercraft by Mike Mcdermott. The Stay Puft Marshmallow Man is a character in the movie Ghostbusters and the animated series The Real Ghostbusters. He was the cartoon mascot of the fictitious Stay Puft marshmallow corporation. The Pokemon Combee papercraft is up for grabs. A Combee is a small insectoid Pokémon that resembles three pieces of honeycomb stuck together. Each hexagon has a face that looks similar to one of the Block Robots from LaRousse City. The top two hexagons have a single antenna and a wing. Since Combee is a Bee Pokémon, it has been considered as a distant cousin of Beedrill. A female Combee evolves into a Vespiquen. "Kira Kira" is a PC game on the theme of punk band." Glue 2 has just released the drummer of the band named Chie Isurugi. 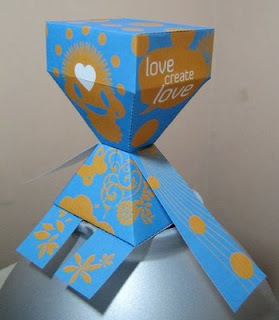 Here's a simple yet colorful papertoy called SIZZA from Nick Knite. This one's been customized by Matthijs Kamstra(MCK). Mike Mcdermott(billybob884) has a papercraft of his greyhound pet named Stoney. It's been almost a month since I last featured James Bowen's Ham Headz. 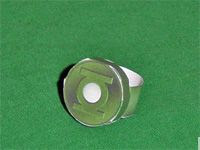 There's a lot of new characters available for download like Batman, Superman, Galactus, Silver Surfer, The Hulk, Wonder Woman, Solid Snake, Sentinel, Naruto, Green Lantern, Doctor Doom, The Thing, Flash, Markus Fenix & Mr. T.
From the movie the Son of the Mask, the Mask of Loki is a mythological object that transforms the wearer into a manic shapeshifter alter-ego. 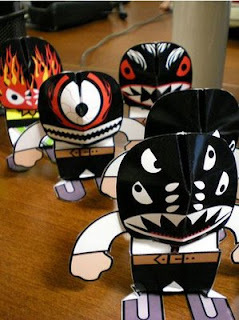 Joe has started a blog with a goal of creating 1 free papertoy per day for a year. He's on his 18th day and has released Astroboy, Iron Man, Hello Kitty, Boba Fett, Spider-Man, Astro Girl, A Clockwork Orange, Tintin, Obelix, Doctor Octopus, Super Mario, Jack Danger Skellington, Optimus Prime, Raphael of The Teenage Mutant Ninja Turtles (TMNT), The Cat in the Hat, R2-D2, The Pink Panther & Andy Warhol. Leave him a message if you want to see your favorite character. Now let's wait and see if he'll accomplish his goal. The first Metroid video game was released first for the Famicom Disk System on August 6, 1986, and later for the Nintendo Entertainment System in August 1987 (North America) and on January 15, 1988 (Europe). Samus Aran is the female protagonist in the Metroid series. 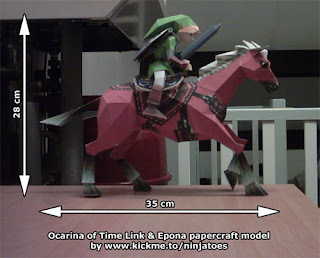 Here's the latest from Ninjatoes, Link and Epona papercraft from the N64 video game Legend of Zelda: Ocarina of Time. 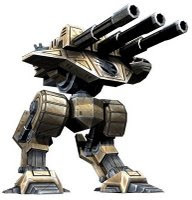 The GDI Juggernaut Artillery Walker is the latest Command and Conquer 3 papercraft. 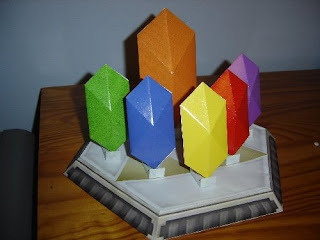 This paper model has nine pages of parts and is about 18 cm tall.